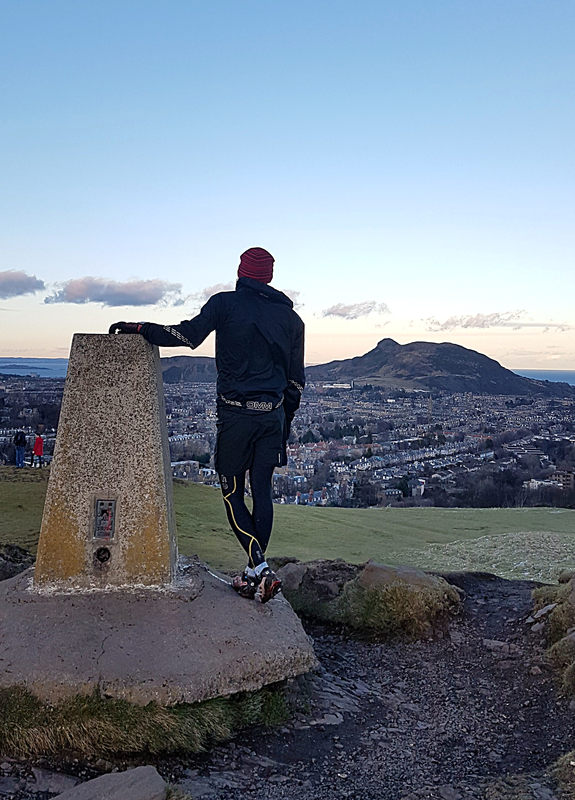 Some years ago, before I considered myself a keen runner, I spent some considerable time in Edinburgh and had the chance to ‘run’ up Corstorphine Hill in the west of the city. 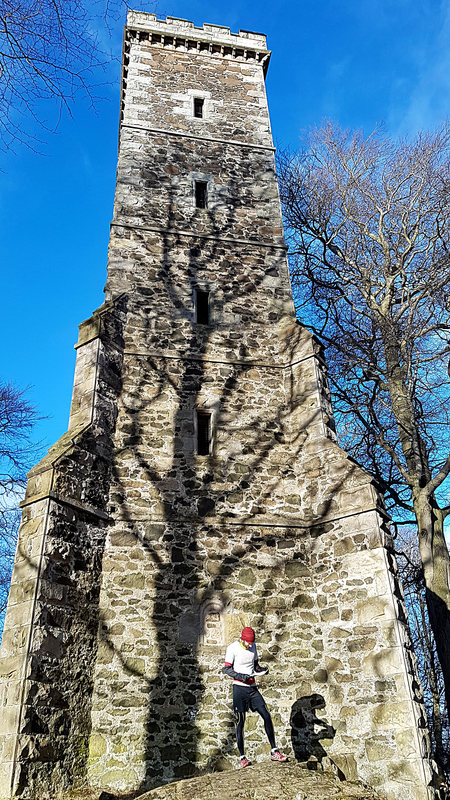 Despite looming high above the zoo and the world famous Murrayfield Stadium, it doesn’t come close in popularity to the larger and more central Arthur’s Seat – and yet it possesses a certain wooded charm that makes it well worth the short bus ride from Haymarket station. I don’t actually remember when I first came across the Seven Hills of Edinburgh race, but I can only assume it was while I was researching the ways up Corstorphine. It struck me as such a wonderful idea: to visit the seven highest points of Scotland’s capital in a defined order, but with your own route choice between them. I didn’t really know that orienteering existed as a sport then, but having always had an interest in maps I resolved to return one day to give it a go. Back then, the idea of running ‘just over fourteen’ miles was well beyond me. It would be nearly ten years before I was to return with good legs and enough spare time to give it a shot, but on a wintry February Sunday the opportunity presented itself and (along with my good friend Craig) I set off from the National Monument of Scotland on Calton Hill in the city centre. It wasn’t actually race day – that’s in June each year – so we had only an annotated OS map (without road names) to navigate from, and promised ourselves we’d keep the phone GPS systems in our pockets unless we were really stuck. First up was just a short jog up the Royal Mile to the Esplanade in front of the world famous castle, easy-peasy. After this it was a long slog down the main road out to Corstorphine Hill, slowed down by a sea of rugby fans heading to Murrayfield to watch Scotland narrowly hold off France in a thrilling Six Nations tie. Once we had descended back past the zoo, we came up against our first real route planning decision. 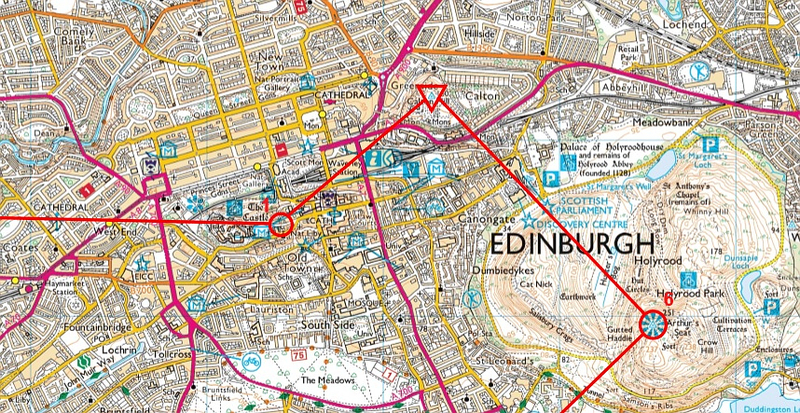 Getting to Craiglockhart Hill was a fairly straightforward task, but with only a 1:25000 OS Explorer map at our disposal working out how to get to the summit trig involved a little trial-and-error. Slip-sliding our way through the Hermitage of Braid nature reserve and across Braid Burn, we started to do a few calculations about what remained in the day. 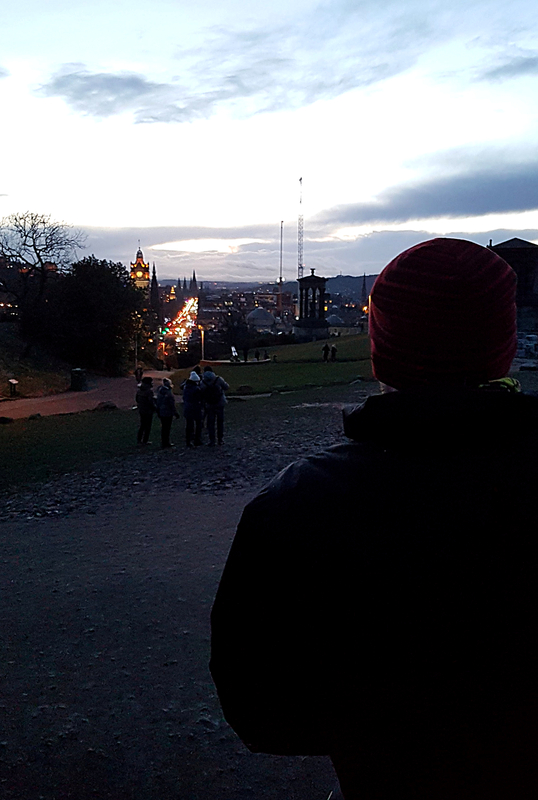 We’d two major climbs left (plus the return to the start point at Calton Hill) but had already ascended in excess of 600m over around a half-marathon distance, and began to realise that this route was rather more than just a jog around the city suburbs. In an effort to cut down a little distance we took a straight line to the next trig, using sticks as makeshift hiking poles. Finally we were charging away from the top of Blackford Hill and heading towards the last big hurdle: Arthur’s Seat. Both of us had made our way to the top of this epic city-centre mountain playground on many previous occasions, but after some three hours on our feet and many hundreds of metres of elevation gain, the steps up from Gutted Handle were a real challenge. But as the sun set and we rose high above the houses, we saw our day’s route laid out before us and were awash with satisfaction at our achievement. All that remained was to descend through the valley towards Holyrood Palace (my favourite bit of city trail running of anywhere I’ve been), and to slog our way up through the New Calton Burial Ground past the Burns Monument and poet William Knox’s gravestone. We collapsed against the National Monument after a little over three and a half hours of running, navigating, and climbing, having completed 26.5km with over 1,000m vertical ascent. If you like maps and have an afternoon spare in this most beautiful of Scottish cities, I would highly recommend this challenge. You don’t need to do all of them – in fact, despite its charm, if you were to remove Corstorphine Hill from the equation you’d surely be back in under a half marathon. You’ll get far-reaching views to Fife across the Firth of Forth, along the coast into East Lothian, and south to the beautiful Pentland Hills. There’ll be time away from the crowded city centre, to experience an Edinburgh far-removed from the bus-loads of tourists and summertime comic overload – a rare experience you’ll surely remember for years to come. 7. Calton Hill. Just in time for sunset! Looks like a great way to spend a day in Edinburgh. Having lived there for over a decade I spent many hours scrambling up Arthurs Seat at all times of day (or night). Next time I make it back I think I’ll go for you amended half marathon route missing out Corstorphine Hill!! This looks awesome. Headed to Edinburgh this summer, glad I caught this! Thanks!